Four SEC 3000 gas detectors that monitor toxic welding fumes to meet EPA/OSHA mandates have been announced by Minneapolis- based Sensor Electronics. 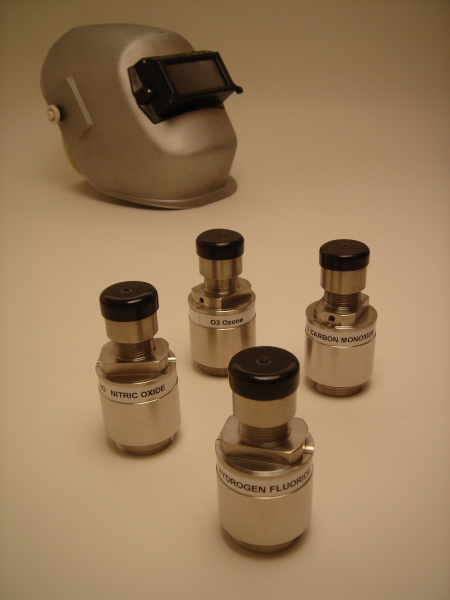 The SEC 3000 factory-calibrated detectors “see” the four dangerous gases – carbon monoxide, hydrogen fluoride, nitric oxide, ozone – given off during welding operations. The detectors are part of a “protection package” that includes transmitters that show actual gas readings on digital readout panels, and LED’s that go green/amber/red as gas concentrations approach danger levels. The package also includes an integral flashing red strobe light and warning horn. The package also keeps a watchful eye on itself: Troubles anywhere in the system trigger warning, and the digital panel spells out what’s wrong where. 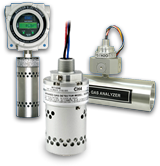 Linked to a printer, the SEC 3000 system can make a running record of gas levels to meet EPA/OSHA regulations. Detectors and components come ready to work without run-in or fine-tuning, keep on for years without fussy adjustment or recalibration. Cost of the protection package – four SEC 3000 detectors, digital readouts, transmitters, LED’s, power supply, strobe light/horn – is under $5000. More information about this “safety box” to protect against welding fumes: Sensor Electronics, 5500 Lincoln Drive, Minneapolis, Minnesota 55436.